A motorbike accident forced Paul Metcalfe (pictured above) to give up his job at Silentnight and eventually led to him starting his own business, Golden Leaf Designs, which has flourished ever since. Paul, who still has his damaged spine caged, opened in 2007 at the nearby tiny shop in Elliott Street (now occupied by Scented Creations) before moving three years ago into the old Co-op building (above) by the canal bridge, where retailing goes back more than 100 years. As Golden Leaf expanded, Paul needed bigger premises to accommodate a new printing machine. He offers an extensive range of printing services, from T-shirts to number plates. The present occupants have uplifted the appearance of the building, which is now privately-owned. There have been many uses of the ground-floor shops since the Co-op days. This photograph, from the late Kevin Bower's collection, was taken possibly in the 1970s when Keighley Technical College provided further education classes on the first floor of the Keighley Road building, which by that time was part of the Keighley and Skipton District Co-operative Society. 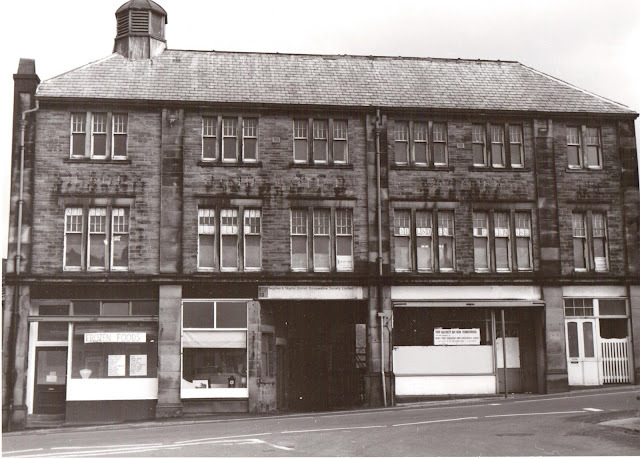 This well-known photograph was taken soon after the Silsden Co-operative Society offices and shops opened in 1908. The title lettering on the upper frontage can just about be made out still. 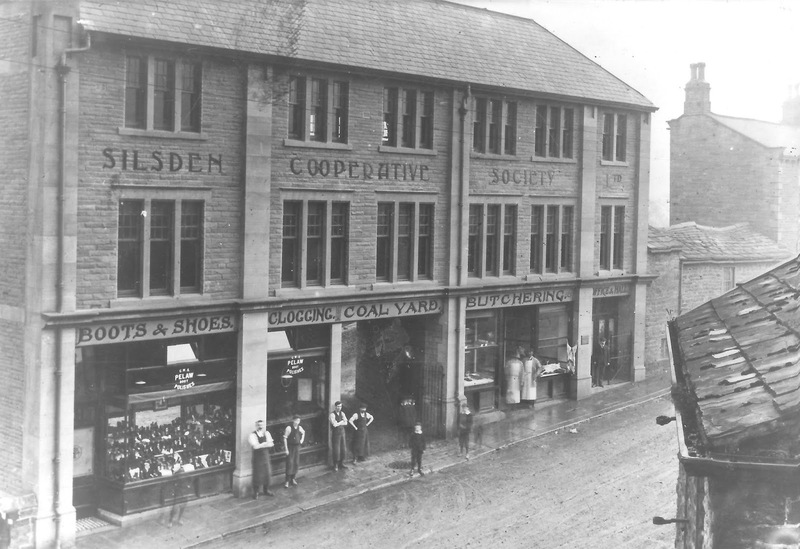 The Silsden Society was founded in 1873 as a Coal Co-op after local coal merchants had provocatively raised their prices three times in a week. 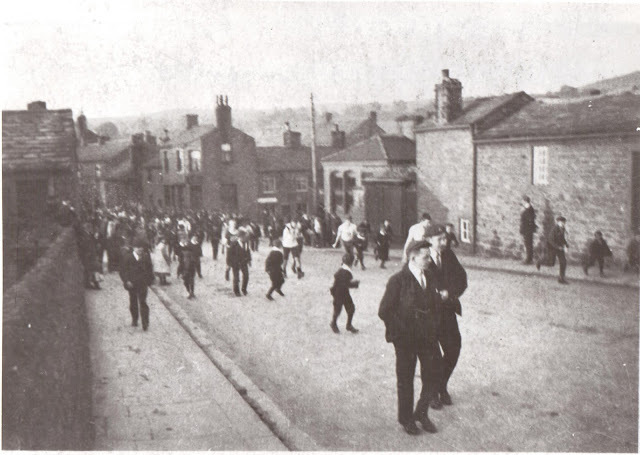 The occasion is not known but this photograph, also from the late Kevin Bower's collection, shows Keighley Road by the canal bridge before the Co-op premises were built.